Made a killing on this Burton stuff at Pac Sun in Ft. Wayne last night! 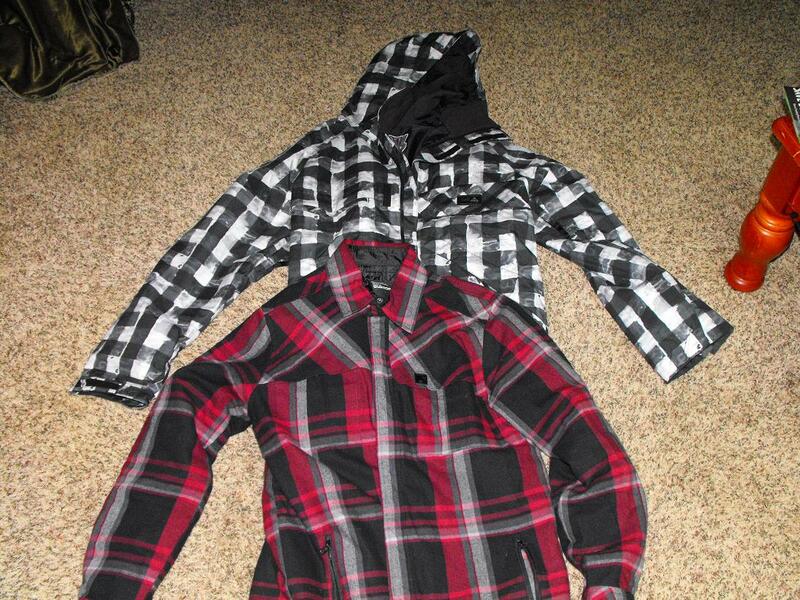 $60 for the checked jacket and $12 for the flannel! For those of you in my area, it's 50% off. You would be a big hit with the lesbians. did they have any jackets left? It's better to get it twice than not get it at all!! There was one of the checkered left and other brands/styles. Lot of hoodies and boardshorts on sale. I love me some 50% of sales. I remember in the middle of summer I got a volcom track-jacket type thing for like 70% off. They always have killer deals if you're looking for something as long as you don't mind buying it out of season. Yeah, if you are willing to risk "losing" an item to wait for the sale, you can make out like a bandit. I normally don't support stores like that (go local!) so the only stuff I ever buy is from the sale section if it's a really good deal. I don't think I've been to PacSun in the last 5 years without going straight to the back of the store for the sale section. GnarShredd, don't blame you for that. I think that all the niche market stuff, like Fox, Burton, etc, is overpriced as hell to begin with. I buy my boards on ebay and get the previous year model for the same reason. J-Ro, I'm pretty sure that I'm keeping the plaid/flanel industries alive, haha. Hey man, I liked that flannel well enough to give $12 for it. OK though, seriously, why the skinny jean craze? They were all over that store. Girls wore stuff like that in the 80s. Maybe I should rock the wetsuit next time I go out. I scored a Burton hoodie from Zumiez that was originally $79 marked down to $49, then %50 off the lowest ticketed price. Score!